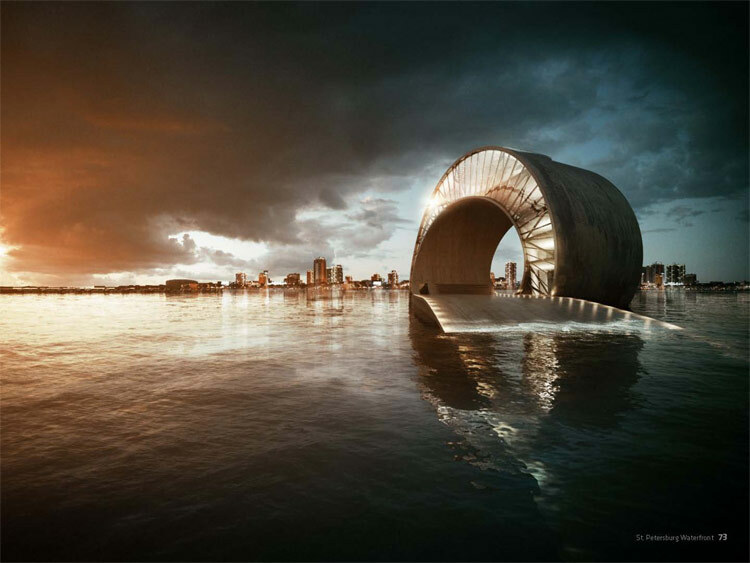 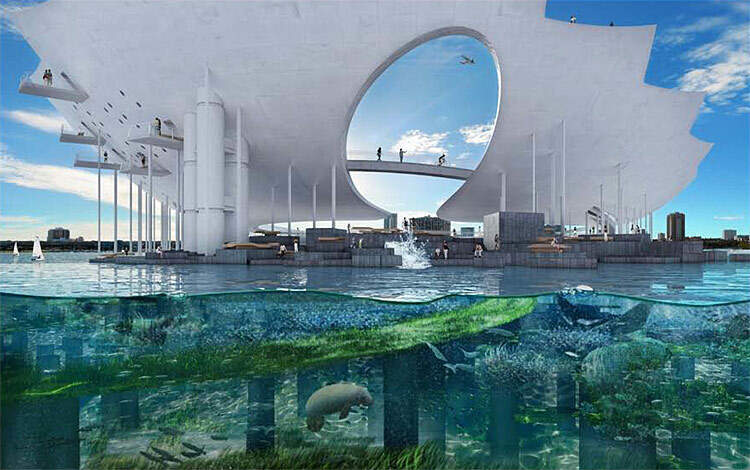 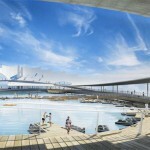 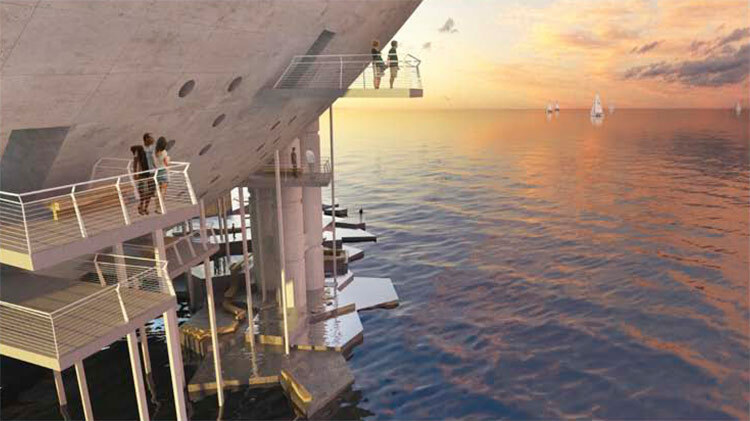 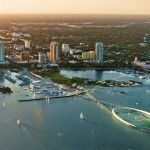 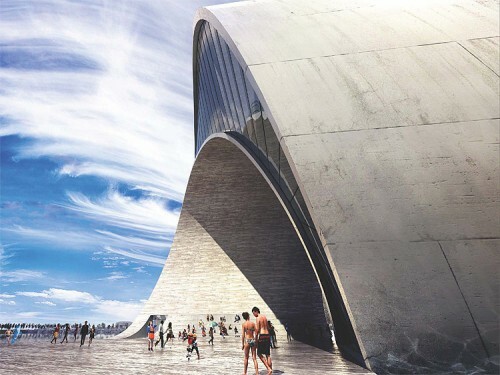 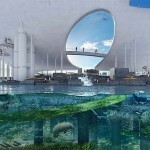 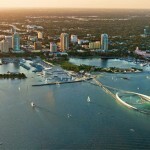 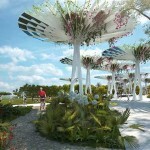 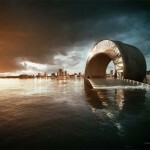 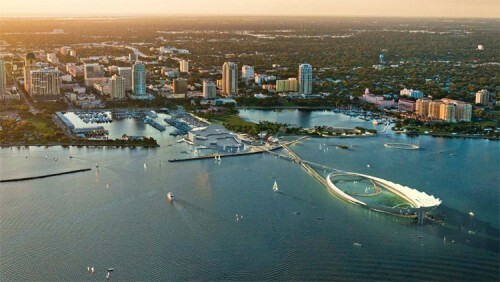 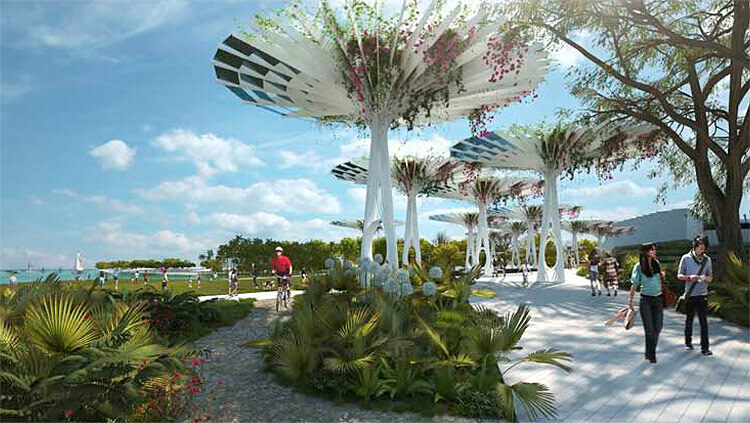 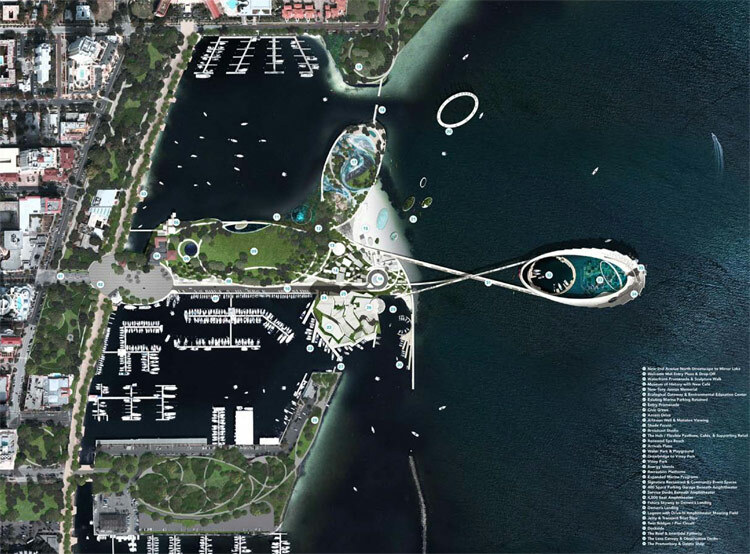 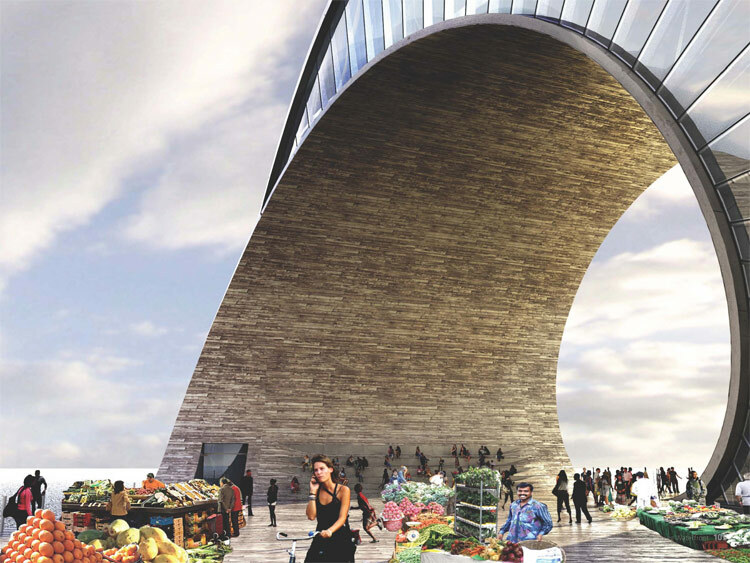 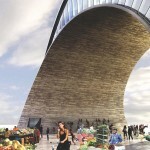 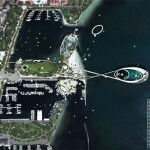 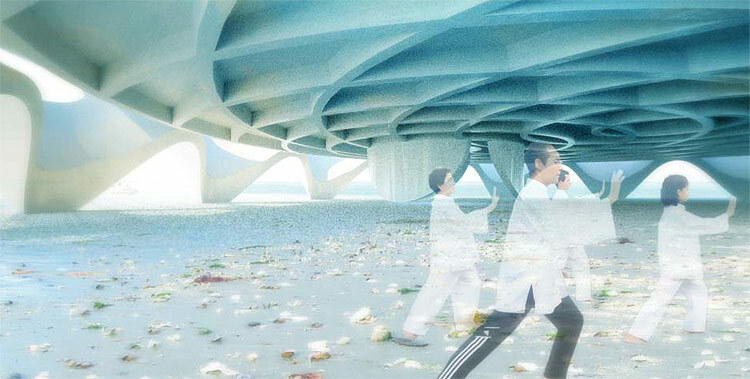 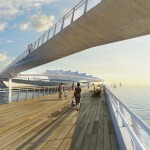 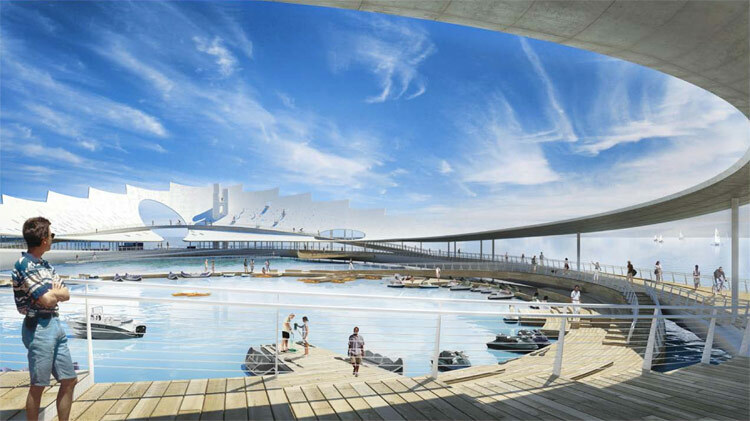 The city of St. Petersburg, Florida has chosen a blockbuster group made up of Michael Maltzan Architecture, BIG (Bjarke Ingels Design) and West 8 Urban Design and Landscape Architecture as the three finalists to redesign its famous pier. 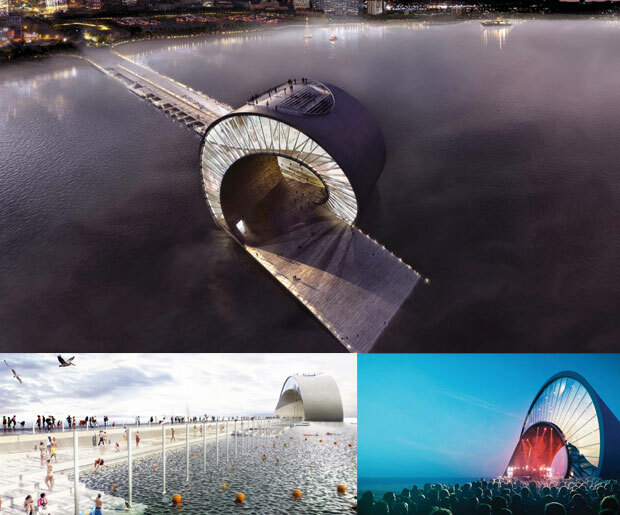 Taking a leap of faith, in 2010 the city voted to demolish the current iteration, a 1970’s inverted pyramid structure and 1980’s “festival market” that St. Petersburg’s web site refers to as “the most visible landmark in the history of the city.” But the pier’s market has fallen on hard times and the city was ready to redefine both the pier itself and the city at large. 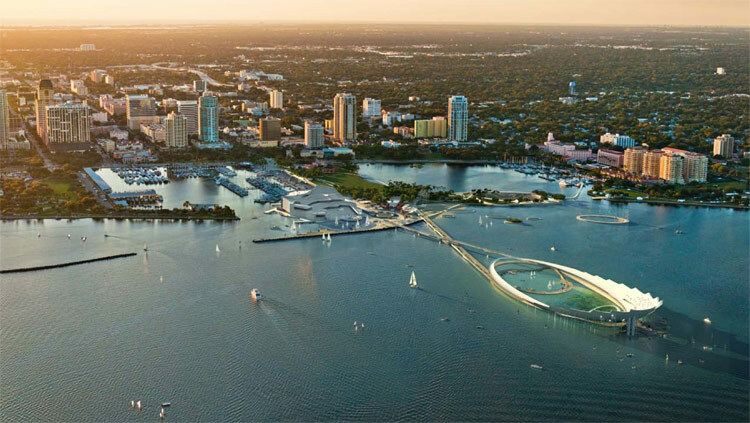 As their proposals show, any one of these three architects will give St. Pete a sculptural design that will become a new landmark, to say the least. 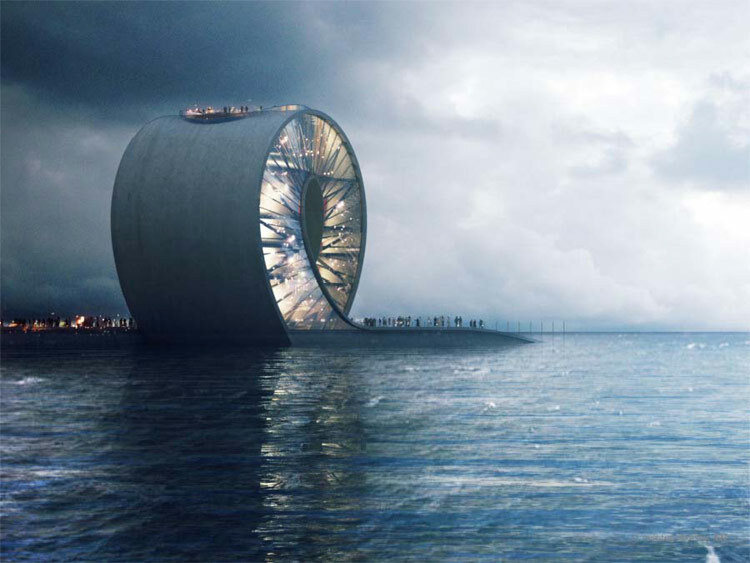 The winner will be chosen in late January. 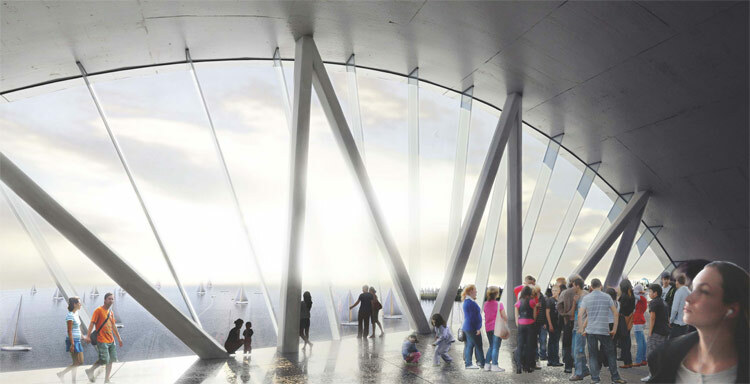 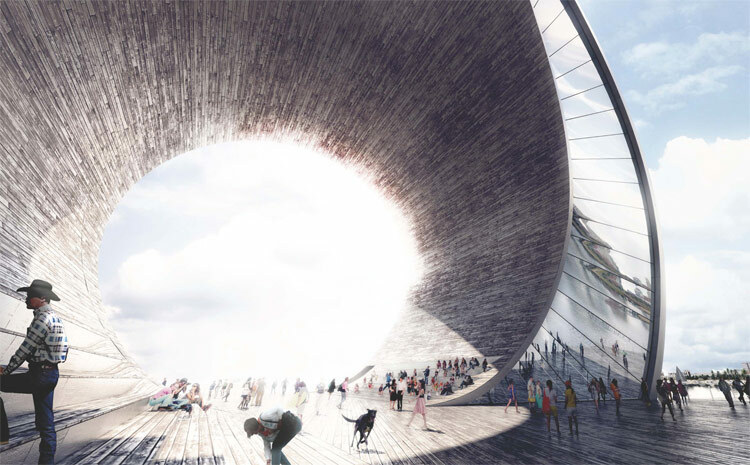 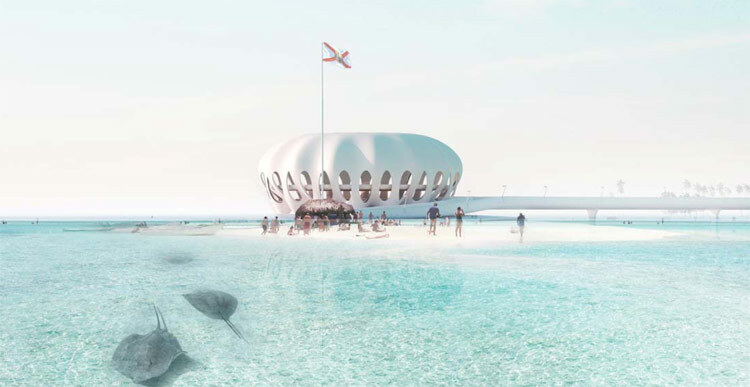 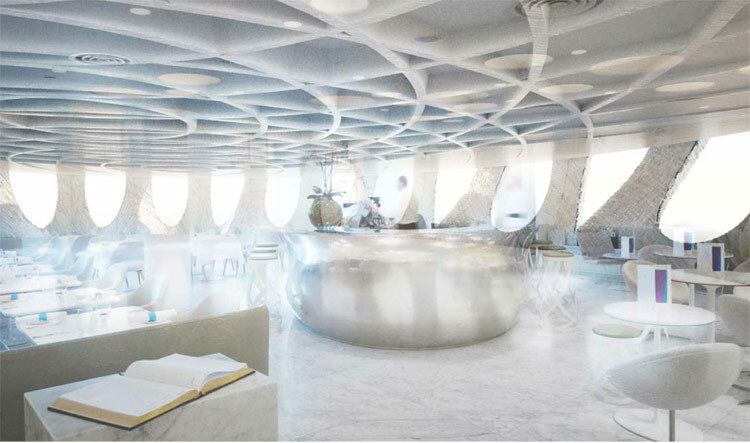 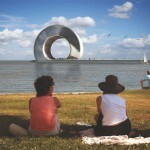 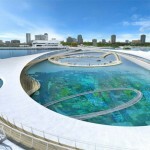 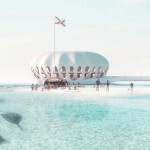 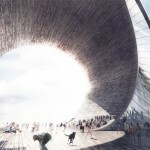 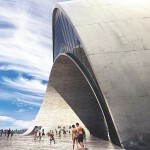 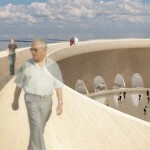 West 8’s plan, called “The People’s Pier,” would be highlighted by a large circular pavilion inspired by a sea urchin called “The Eye” sitting on a new shoal in the bay. 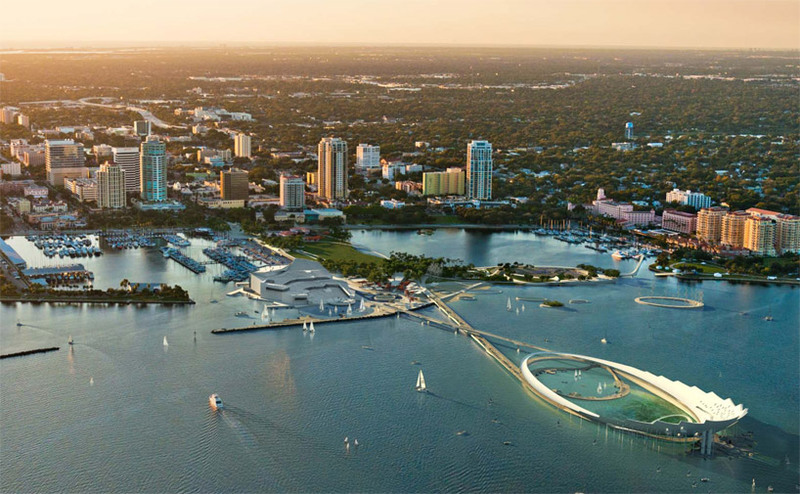 It would also create new preserved habitats, a public marina and would include a new plan for ecological waterfront development. 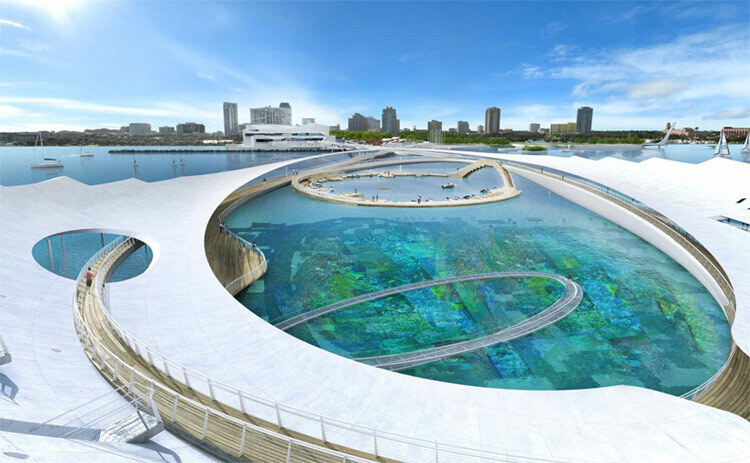 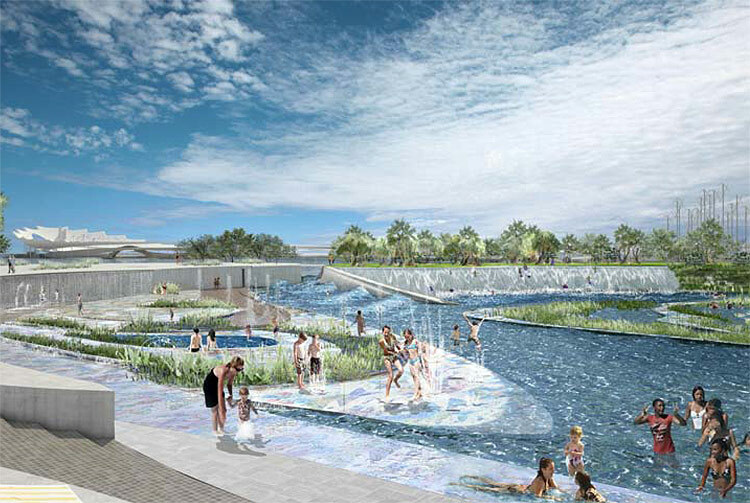 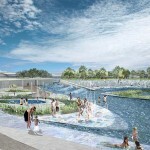 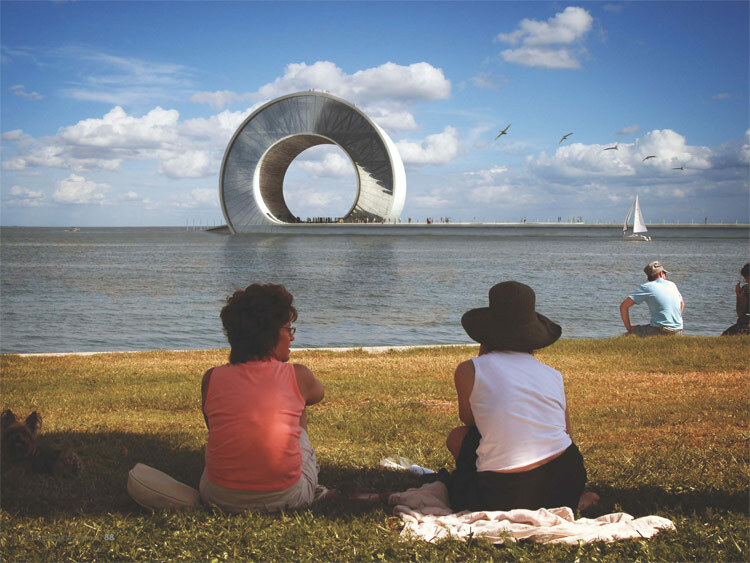 Maltzan’s ambitious plan would create a new tidal reef, a civic green, raised walking paths, an amphitheater, a watermark and other leisure activities. 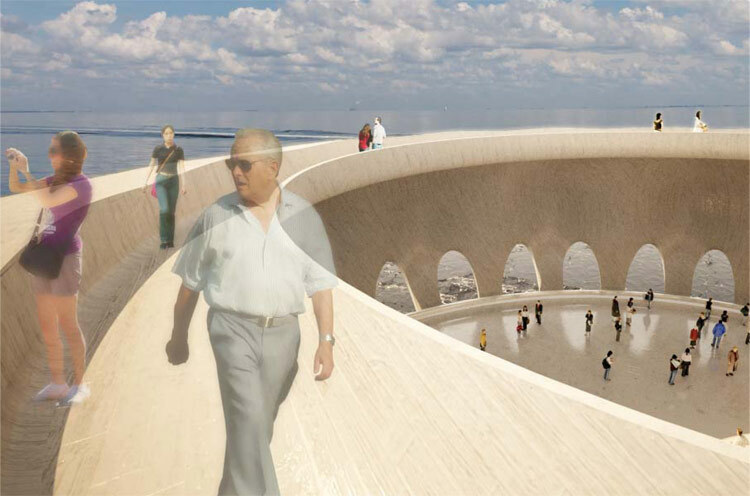 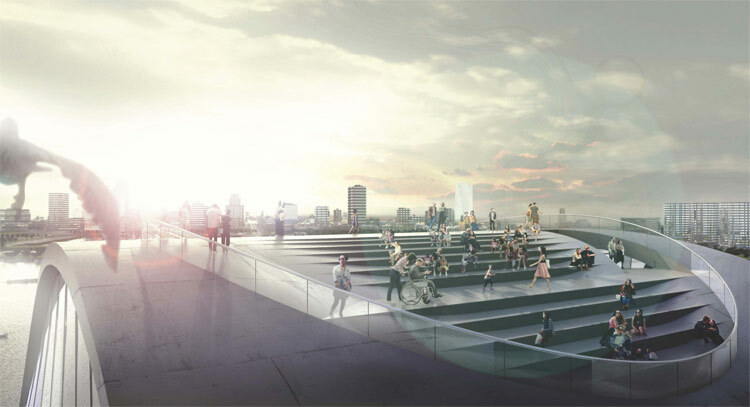 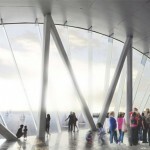 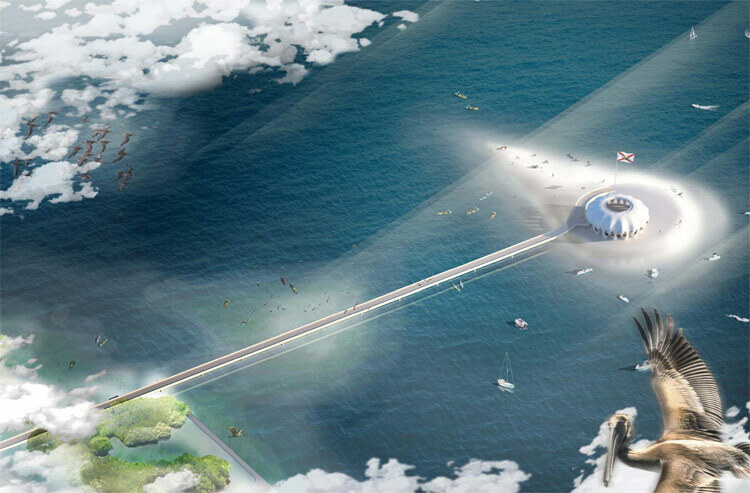 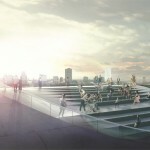 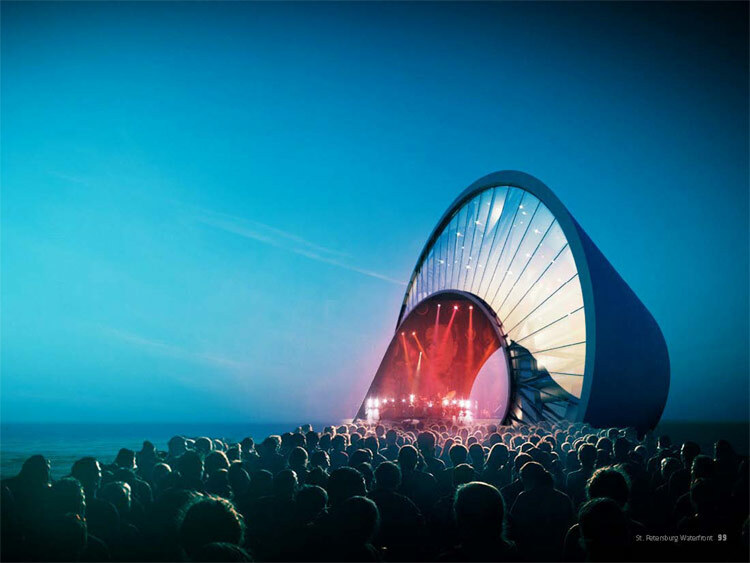 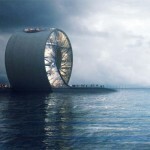 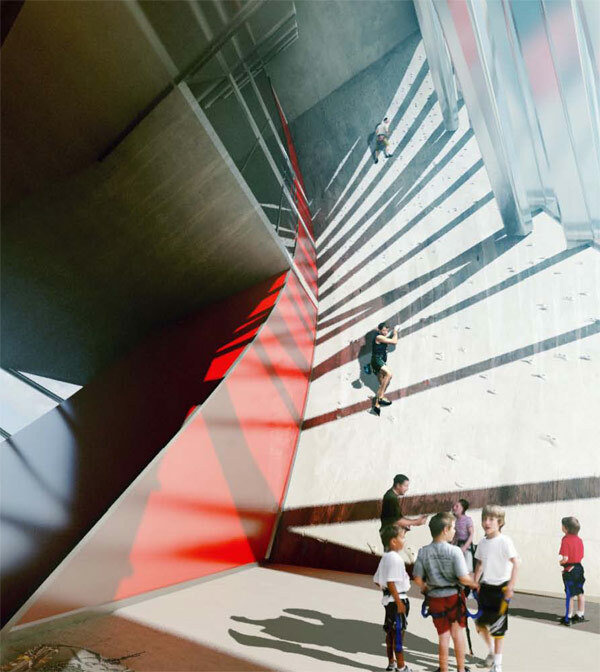 BIG’s spiralling scheme would rethink what a pier is. 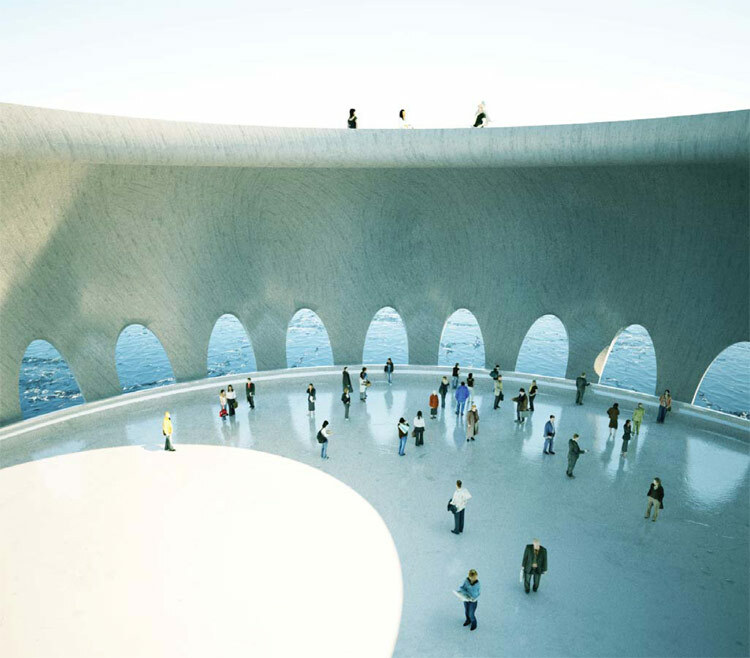 It would be made up of three parts: a park, a walkway and “the wave,” a large spiral-shaped structure containing several programs. 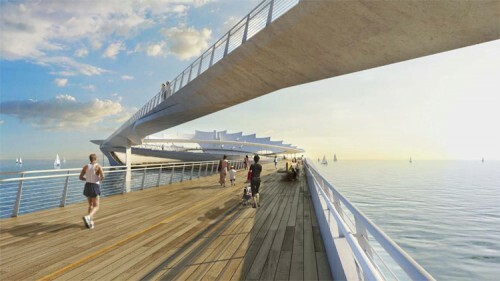 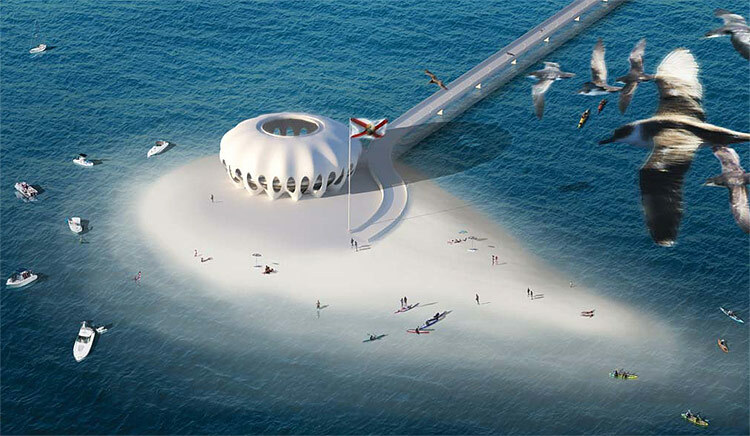 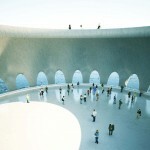 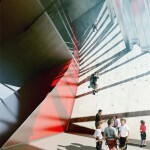 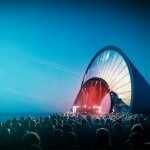 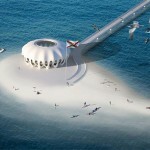 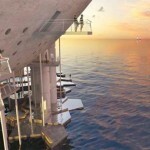 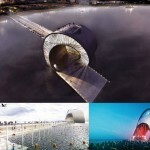 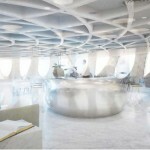 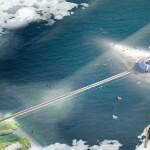 According to BIG the structure would be made up of the pier itself folding in on itself. Closer to shore the plan would contain contain a large swimming beach and a small forest.